I want to introduce you guys to a new staple in my skincare kit. I am very very selective about what makes it into my skincare supply, and I usually only carry French brands, as they have proven the highest-performing over the years. However, I have a new find that has won me over, and it’s from Japan! 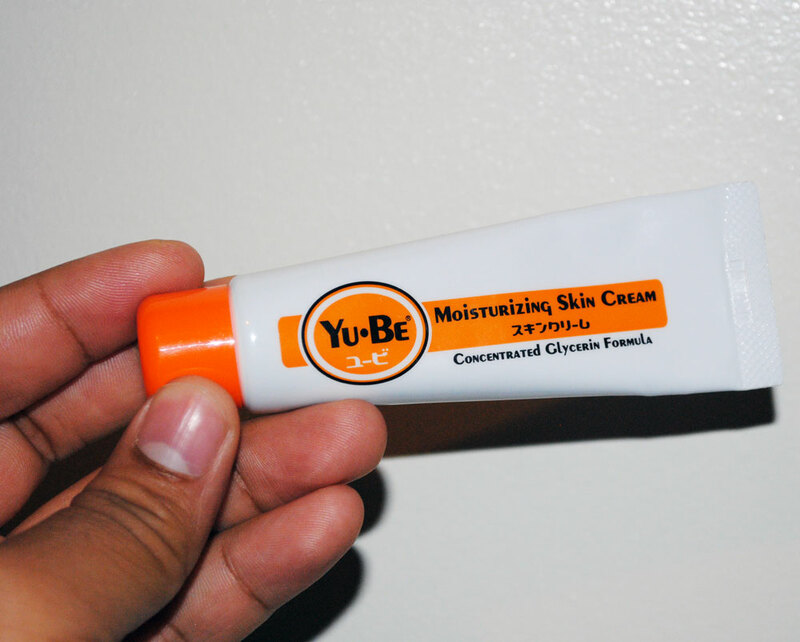 I introduce to you, Yu-Be Moisturizing Skin Cream. SIZE: A little shorter than a tube of toothpaste. CONSISTENCY: Thick, but emulsifies easily. SMELL: Has a distinct camphor smell (think: Vick’s Vapor Rub), that fades within 60 seconds. INGREDIENTS: Glycerin, Water, Isopropyl Myristate, Stearic Acid, Glyceryl Stearate SE, Triethanolamine, Tocopheryl Acetate (Vitamin E), Gylcyrrhetinic Acid, Camphor, Riboflavin (Vitamin B2), Hydrogenated coco-glycerides, Stearyl Alcohol, Polysorbate 80, EDTA, Methylparaben, Ascorbic Acid (Vitamin C), Sodium Hyaluronate. DESCRIPTION: Concentrated glycerin moisturizer helps hydrate, soothe and smooth: rough, dry skin, split cuticles, chapped lips, cracked heels, calluses and sunburns. Yu-Be is safe and effective for the whole family on all dry skin areas of the body – including the face and lips. Non-greasy formula absorbs instantly and stays locked in for hours. 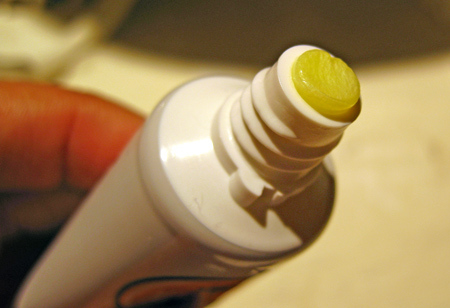 As you can see, the cream is very thick, and is able to stand on “peak” once it leaves the tube. This is great, as it leaves a strong layer of moisture on the skin, and helps to smooth the texture out a little. Although thick, the cream emulsifies on the touch, and smoothes out over skin effortlessly. It also releases its wonderfully familiar and soothing camphor smell at this point. If you’ve ever used Vick’s Vapor Rub when you had a cold, then you will notice the scent; it does fade within a minute of application. 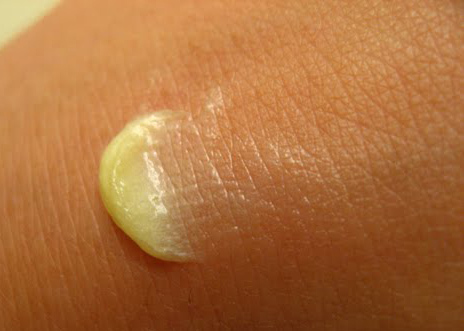 The cream has left a lasting layer of moisture on my skin, as you can see. I love this moisturizer! It was really difficult for me to venture out and try a new moisturizer. I have been very loyal to Embryolisse Creme Lait, but I came to a point that I wanted to see what else was on the market. I suppose I was starting to get that “shopper’s itch” that all of us makeup artists get. Well, I’m happy that I found Yu-Be, and it is going to be replacing the Embryolisse, now that I have run out. The cream has such a great texture and finish, which is due to it’s high glycerin content. It’s very smooth, and does not leave any trace of grease on the skin. I am also in love with its nostalgic camphor smell. It helps start conversation on the set, and helps break the ice with models. When I start with face prep, the first reaction I get is, “Oh! That smells so good. 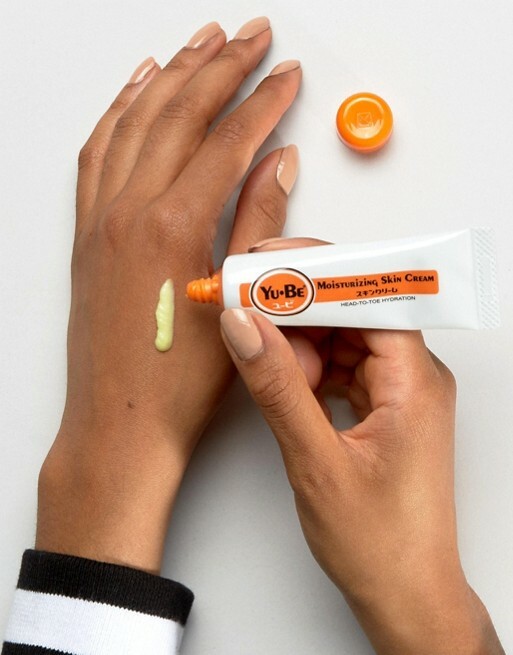 It reminds me of Vick’s!” And we get into a long discussion about our childhood and mothers, and so on… So, for various reasons, I give the Yu-Be Moisturizing Skin Cream an A+ recommendation for your professional makeup kit. It does an exceptional job as a moisturizer, and is a great ice breaker with your clients and models. Check it out! If you would like to purchase the Yu-Be Moisturizing Skin Cream, click [HERE].